10ml, 50ml and 100ml available. Supplied in amber glass bottles with teat pipette dispenser. 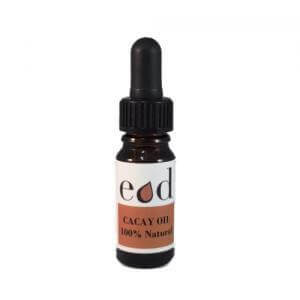 Caryodendron Orinocense Seed Oil is the oil expressed from the seeds of Caryodendron orinocense. 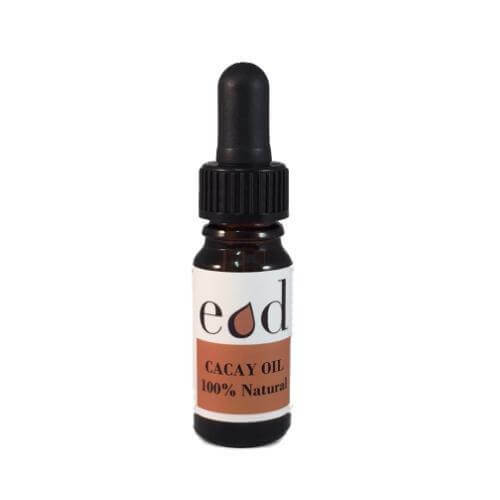 This oil boasts more Vitamin E and Linoleic Acid than Argan Oil and more Retinol than Rosehip making this a great all rounder for skin and hair. Functions: Emollient, Skin Conditioning & Hair Conditioning. Directions for use: 100% Cacay Oil. Apply direct to face, skin or hair. External use only: MAY CONTAIN NUTS: Please seek medical advice before usage if you suffer from a nut allergy or any other medical condition. Discontinue use if any allergic reaction occurs. Medical Claims: We are not able to make medical claims on this product so please use online resources to find out more detailed information about this fantastic oil and its many health benefits.